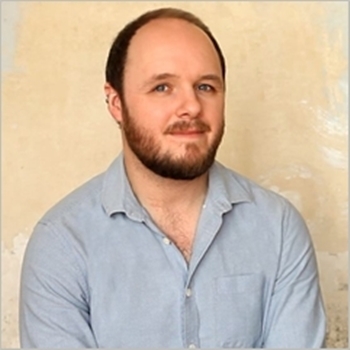 Dan Baker is a producer with experience in delivering projects, festivals and outdoor work from Fringe to large-scale, and is currently Creative Producer for Barbican Theatre Plymouth. He is Producer and co-founder of Toast, a theatre development agency for Plymouth and founders of the Plymouth Fringe Festival – an annual theatre and performance festival taking place annually since 2015. Dan has delivered touring productions, outdoor work and international partnerships, and has been employed as a producer for organisations including the Old Vic Theatre, Bush Theatre and Greenwich + Docklands Festivals. He has also developed an extensive portfolio of freelance producing work, including the Outpost pop-up theatre season with New Model Theatre (2014, 2015 & 2016), extensive touring work for the MolinoGroup - most recently their award-winning Edinburgh Fringe show Much Further Out Than You Thought (2015) - and work across the UK for Agent 160 Theatre, including presenting twelve specially commissioned pieces by female playwrights for Fun Palaces at the Wales Millennium Centre (2014). In addition to his work as a producer, Dan has a background in work with young people and in community settings - having delivered activities for organisations including Arts Council England, Theatre Royal Plymouth and Almeida Theatre.